The tradition of Secret Service code names goes back to at least the Truman administration, when the large protection detail was permanently established for the president, his family, the president elect, and the vice president (though the agency itself just celebrated its 150th anniversary). Still, the names themselves have never really been kept a secret. The code names—relics from before the encryption of electronic communications—often play into some part of the personality of the protected individual. Below are some of the more entertaining monikers that have been chosen over the years. 1. Edith Wilson // "Grandma"
Woodrow Wilson's second wife, Edith, was the first First Lady to receive Secret Service protection, but her code name had been around long before that legislation was passed in 1917. President Wilson had been widowed during his second year in office, and within months of his first wife's passing, he met and became enamored of Edith. Wilson's camp was concerned that the public wouldn't take well to his being in a new relationship so soon, and his protection took to referring to Edith by the decidedly unsexy code name "Grandma." 2. Meghan McCain // "Peter Sellers"
When her father, John McCain, was the Republican presidential candidate in 2008, he went by "Phoenix." Because, per Secret Service rules, immediate family members need code names that begin with the same first letter, Meghan wound up with "Peter Sellers." Hers was the only full name ever to be shared with another person. Her siblings chose cartoon characters: "Popeye" and "Pebbles." 3. Newt Gingrich // "T-Rex"
The former Speaker of the House had a Secret Service detail when he was a presidential candidate in 2012 and chose his code name based on his love of dinosaurs. While he was in Congress, he famously had a replica T. rex skull on display in his office. 4. Josh Bolten // "Fatboy"
George W. Bush's Chief of Staff had a fondness for riding Harleys, and he chose his name based on his favorite motorcycle model. 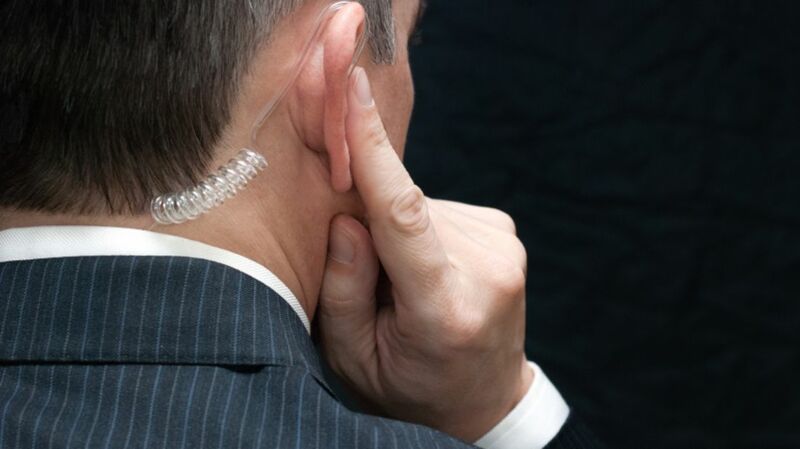 "My Secret Service detail loved the code name," Bolten once said. "Even the female agents, who end up getting called Fatgirls." 5. Frank Sinatra // "Napoleon"
Though Sinatra hung around the Kennedy family a lot, it was President Nixon who requested he have a Secret Service name and occasional protection. It came in handy though: Ol' Blue Eyes was also a staple in the Reagan White House. 6. Happy Rockefeller // "Shooting Star"
Gerald Ford's vice president, Nelson Rockefeller, had the perfectly normal sounding code name "Sandstorm." However, his wife Happy's had to be changed once agents noticed how problematic calling someone "Shooting Star" could be. Former Secret Service agent Joseph Petro wrote, "Within a few days someone realized [that] wasn't such a good name, because in a broken transmission all you might hear was the word 'shooting,' and that could inadvertently set off a chain reaction and an awful lot of problems." Mrs. Rockefeller's code name was quickly changed to "Stardust." 7. Ronald Reagan // "Rawhide"
President Reagan's love of ranching, and maybe also his history as an actor in Westerns, resulted in his code name, "Rawhide." Once, when a member of his security detail, Larry Rowlett, was asked if he ever called the president "Rawhide" to his face, he replied, "Yes—he was always very congenial and just kind of one of the guys. You know, if somebody referred to him as that he'd get a chuckle out of it." Nancy was only ever called Mrs. Reagan. 8. Karenna Gore // "Smurfette"
9. Ron Nessen // "Clam Chowder"
By all accounts, Gerald Ford’s press secretary had a great sense of humor (he even hosted Saturday Night Live once!). He also apparently had an affinity for clam chowder, a code name that is somehow made funnier because of its specificity. 10. Ted Kennedy // "Sunburn"
He was often referred to as the "Lion of the Senate," but during his presidential campaign for the 1980 election, the youngest of the Irish-Catholic Kennedy brood was code-named "Sunburn." Fittingly, his mother, Rose Kennedy, was called "Coppertone." 11. Ron Ziegler // "Whaleboat"
Ziegler was just 29 when he took the job as Nixon's press secretary, and though the Secret Service called him "Whaleboat," the reporters he gave cagey answers to twice a day preferred to call him "Zig-Zag." 12. William French Smith // "Flivver"
We're not really sure why Reagan's Attorney General from 1981-1985 was called "Flivver," but it's not a terribly flattering term—it's slang for a cheap car in poor condition. 13. Hillary Clinton // "Evergreen"
Quite an appropriate name, given that it’s in its third decade of use. Clinton received the name "Evergreen" when her husband, Bill, moved into the Oval Office in 1992. And though she has lifetime Secret Service protection as a former First Lady, she would have needed it anyway in her high-profile roles as secretary of state and presidential candidate. Visiting dignitaries will sometimes receive code names, and Prince Charles got "Unicorn"—fitting, since it's a symbol the Brits use regularly. 15. Pope John Paul II // "Halo"